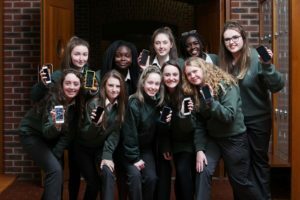 Cork, 6 December 2016: Teams of students from schools across Cork presented the Apps they developed to judges at the recent CEIA’s SySTEM Finals held at CIT. With a record number of female team entries, the Mount Mercy College team was announced as overall winner for their educational gaming app. SySTEM requires students to develop an educational gaming app over a number of weeks in teams before the final competition. With training workshops for participating teachers and students, CEIA provides support on programming, design, project management and presentation skills, as well as team mentors for each team. 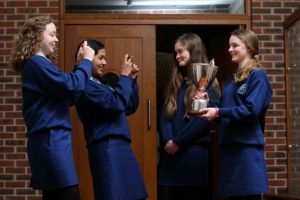 “The SySTEM programme is of huge benefit, not just in terms of exposure to STEM learning such as coding, but also marketing, presentation and teamwork. This year’s entries all demonstrated really high levels of understanding the premise of coding and devleoping and marketing apps. We are really delighted to present the all-girls team from Mount Mercy College with the SyStem Award, and congratulations to them and our other team winners.” said Dr Eamon Connolly, Electrical and Electronic Engineering Promotion Officer, CEIA. 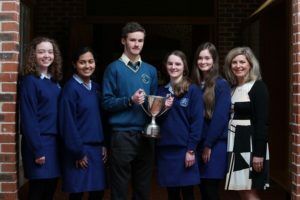 Presentation College, Ballyphehane won Best Functionality Award for their App, while St. Als Carrigtwohill scooped Best Design and Graphics. Mount Mercy College also won ‘Best Marketing’ award for a second team entry. “Each team had to create an educational gaming android app; the team activities included project management, app development, graphic design and sales and marketing. I would like to take this opportunity to congratulate all of the participating teams, each one showed excellent skill and creativity in the development of their Apps,” he added. 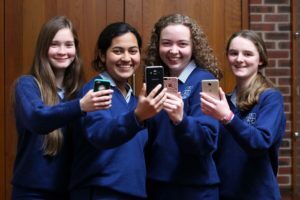 The CEIA Skills and Education Group, which is supported by Science Foundation Ireland, promotes STEM education to students from the ages of 10-18 through programmes such as the SySTEM App competition, HighTech Elec, maths tutorials linked to the leaving cert curriculum, Discover Science workshops and other events. Further information is available on the CEIA website www.ceia.ie. Cork City, founded in 606 AD, besides being rich in local and national history, is also steeped in heritage and has been home to such figures as William Penn, Charles Boyle, Walter Raleigh, Edmund Spenser, Charles Berkeley and George Boole.